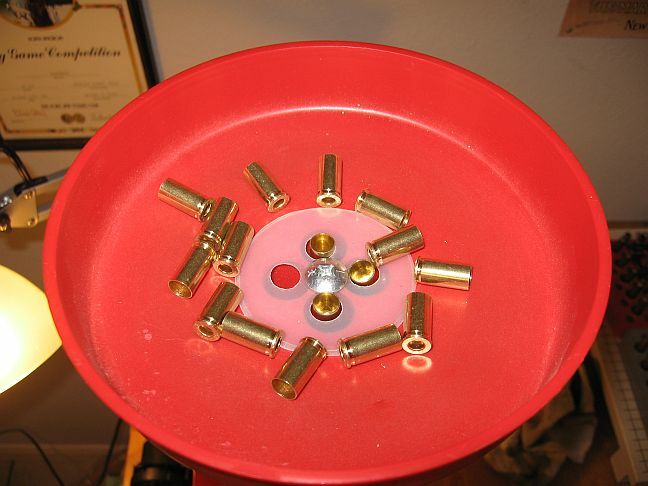 I did the one with a hole drilled in the center of a zinc penny and a 22LR shell used to hold it into the middle. I get no 9mm upside down with it. This with the PEX inserts looks to be easier. Thanks. 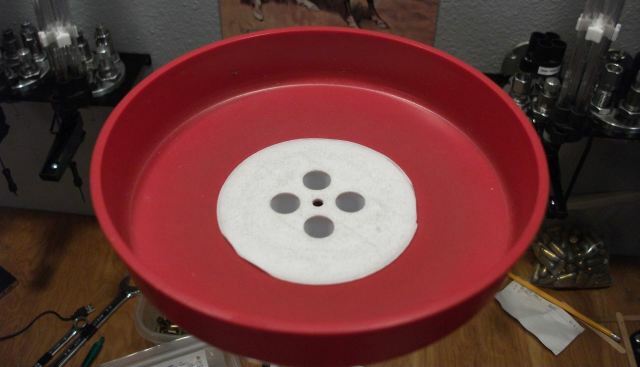 Twenty years or so ago, I cut a circle out of a disposable plastic bowl lid and then punch four holes out of it with a 45 Colt case. Works like a charm for keeping the 9mm Luger cases base down. I think I used my coffee cup to trace the area out of the Cool Whip bowl. In 2017, I bought a 3D printed 9mm Luger sorter on eBay (if my memory serves me), it doesn't work any better than the one I made. There are numerous mods to the Lee case collator on the internet. Some are complicated, others like the PEX inserts are simple. All of them appear to work well. I have a buddy at lodge, who's a plumber. He had the Pex and cutter in his van on a meeting night.